Monday, Gov. 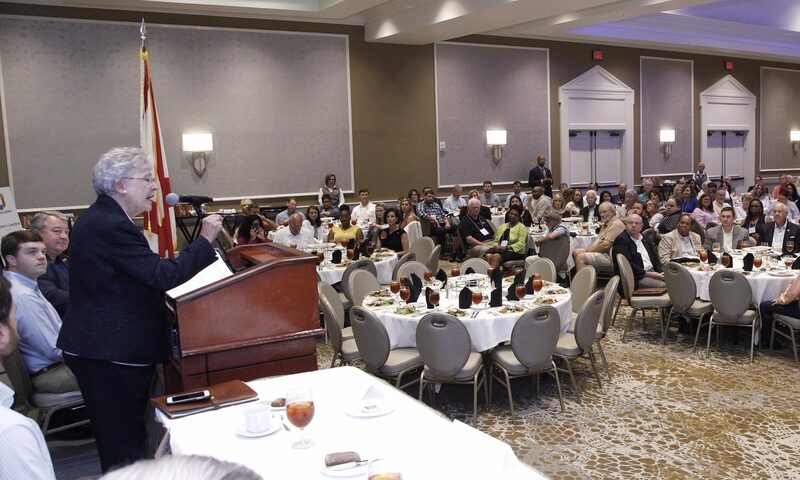 Kay Ivey addressed the Economic Development Association of Alabama at their annual convention in Point Clear’s famed Grand Resort. Ivey said that her administration is serious about restoring trust in government and putting people back to work. Jones said that this was one of the most attended EDAA conventions to date. Alabama Department of Commerce Secretary Greg Canfield also addressed the economic developers. Sec. Canfield said that Alabama EPSCOR is putting together a searchable database to help economic developers and site selectors. The database will include all of the research both at the universities as well as private research operations like Hudson Alpha and the Southern Research Institute. Canfield said that he is optimistic going forward because education at all levels is now aligned with workforce development. Unemployment in Alabama has dropped to 3.9 percent. Ivey is running for governor in November largely on her record as a job recruiter and economic development. Ivey faces Tuscaloosa Mayor Walter “Walt” Maddox (D) in the November 6 general election.